In February of this year, we published the first edition of the Top 25 Advertising Partners. This list was created partly to recognize MobileAppTracking partners that were performing at a high level, but its primary purpose was to identify partners that can help you accomplish your marketing goals. Part of our mission here at TUNE is to provide you with resources you need to both navigate the evolving industry and identify opportunities for growth and expansion. 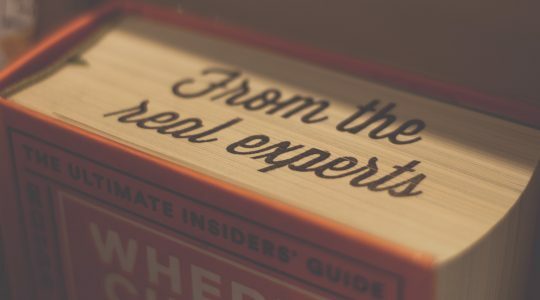 Finding the right advertising partnerships is fundamental to growing your business, and this rank index gives you the added confidence to experiment with emerging technologies and expand to new markets. With the release of our new Partner Portal, we thought it was a good time to provide an updated list of our top 25 partners. In the nine months since we published the first list of top advertising partners, there have been a number of acquisitions, new players entering the space, and other noteworthy industry movements. 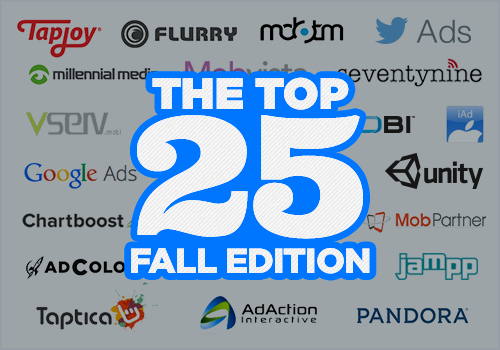 The Top 25 Advertising Partners – Fall Edition reflects much of this activity, and provides an updated perspective on our highest performing partners. How Did We Determine the Rankings? 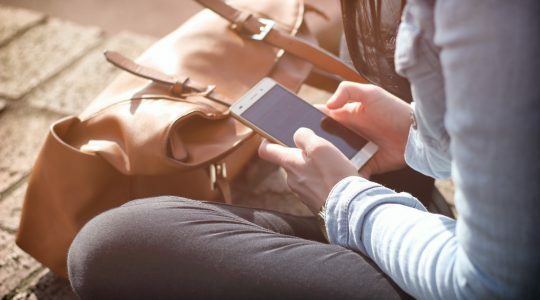 After naming MobileAppTracking an attribution partner in June, Twitter Ads made an immediate impact and landed in the number one position for its top 25 debut. Apple iAd also made an impressive ascent, breaking into the top 10. 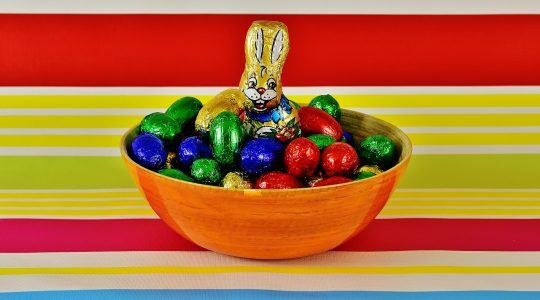 In terms of regional activity, Mobvista, Tyroo, and Vserv—three Asia Pacific (APAC) partners—are also worth noting. Gartner forecasts that APAC will account for an average of 30% of global ad spend between 2012 and 2017. It will be exciting to watch APAC and other growing regions continue to make their mark in the coming months and years. There were also a handful of video-prioritizing partners that fell just outside the top 25. Ad spend associated with mobile video is projected to quadruple from 2013’s $518M US to nearly $2.1B US in 2016. If this happens, expect to see more video-driven partners on future top lists. Mobvista climbed nearly 70 positions, landing at number 12. Jampp jumped up roughly 30 positions to crack the top five. AdAction Interactive, Seventynine, Taptica, Opera Mediaworks Performance all moved up at least 20 positions. MobPartner improved 16 positions, earning a spot in the top 10. Other big movement in the top 25 came through a pair of acquisitions. In June Opera acquired AdColony, and in July Yahoo acquired Flurry. We chose to rate these companies separately (as opposed to aggregating their data and ranking) because you can still partner with each organization independently. Consolidation is a common characteristic of maturing industries, and as the ecosystem evolves, expect additional acquisitions to continue to shape the partner landscape. The value of finding partners that consistently deliver cannot be overstated. Keep an eye out for our future partner rankings to see how these companies continue to perform, and to identify partners that help you accomplish your goals. With 500 million Tweets a day and over 240 million active users, people turn to Twitter to bring them closer to the things they care about, whether it’s the news that affects their lives or the businesses down the block. Twitter enables you to get your messages in front of people not yet following you by promoting your Tweets. Reach the right audience by targeting based on interests, geography, gender, device, or users similar to your followers. 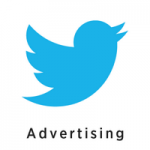 In addition, maximize the relevancy of your message by targeting by keywords in people’s Tweets. Google Mobile Ads can help you achieve your performance marketing objectives to win new customers, grow leads and earn conversions. Mobile ads appear on mobile devices in Google search results, on content websites, in apps and video. Use them to put your business in front of people as they use their smartphones and tablets throughout the day. Google Mobile Ads can also help you fulfill your branding goals. Make an impact with engaging, interactive, rich-media display ads on the mobile web and in apps. Motive Interactive is a global Mobile Ad Network that focuses on providing quality user acquisition for top brands in some of the most competitive verticals. Motive supports its growing client base with technical innovation and strong industry experience. Founded in 2003 Motive quickly became one of the top performance marketing networks. An early adopter, Motive transitioned its business into Mobile in 2011. 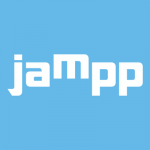 Jampp is an app marketing & re-engagement platform. They aggregate over 150 ad networks and RTB exchanges to drive and optimise traffic to apps. The Jampp platform algorithms factor in information about each user’s profile as well as about the ad impression’s context, their programmatic platform (through a combination of big data and machine learning) decides within milliseconds how much the ad impression is worth and what message or creative to show each particular user. The company is based in London, Buenos Aires, Cape Town and expanding into the US and other countries soon. InMobi enables the world’s leading brands, developers, and publishers to engage global consumers through mobile advertising. InMobi platforms leverage advances in big data, user behavior, and cloud-based architectures to simplify mobile advertising for its customers. Recognized by MIT Technology Review as one of the 50 Disruptive Companies of 2013, InMobi is the world’s largest independent mobile ad platform, engaging 872 million monthly active uniques in over 200 countries. AppLovin is a mobile marketing platform that empowers brand advertisers to acquire and re-engage customers through its ability to automate the mobile buying process and attribute revenue for every dollar spent on its platform. Its mobile advertising technology moves beyond targeting and segmenting to use personalized ad creative, data and predictive models to deliver dynamic mobile advertising. Its automated media buying technology makes it easy for brands to acquire new customers profitably while also helping them re-engage users to drive higher return on investment in a measurable way. AppLovin offers dynamic ads to over a billion consumers each month and works with 300+ world-class brands including OpenTable, Hotels.com, eBay, Spotify, GREE, Zynga, and Groupon. glispa is a high-performance, digital marketing pioneer empowering our clients to activate global audiences, reach growth objectives and move markets. We provide a full suite of acquisition and monetization solutions (gBoost, gPerform, gMonetize and Media Services) for global advertisers like Baidu, Nexon, OLX, Dafiti and Gumi. glispa reaches billions of mobile and web users with our multichannel offerings driving quality engagement, increasing customer lifetime value and impacting the bottom-line. 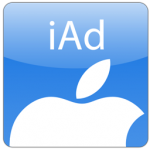 iAd is Apple’s advertising platform. We help businesses find the right people and create the kind of advertising that captures attention and drives results. iAd helps you find the right customers, understand them better, and engage them more effectively — all on your own terms. There are hundreds of millions of validated iTunes accounts worldwide, most tied to payment methods. So whether you’re looking for moms or business travelers or groups of your own customers, we’ve got you covered. MobPartner is a trusted global partner in performance-based mobile advertising and monetization. Reaching 200 million consumers each month, MobPartner works with some of the largest consumer and mobile brands. MobPartner’s highly efficient in-house tech platform, tracking tools and dedicated team of mobile marketing experts is used by more than 300 advertisers worldwide, plus the world’s most influential publishers. Headquartered in Paris, France with local offices worldwide. Millennial Media is the leading independent mobile ad platform company, supporting the world’s top brands and mobile content providers. The company’s unique data and technology assets enable its clients to connect with their target audiences as they move across screens, media, and moments. Millennial Media drives meaningful results at scale through a diverse suite of products fueled by innovation and the industry’s smartest minds. At Pandora, we have a single mission: To play only music you’ll love. (OK, we’ve added comedy as well so we’re also up for playing some jokes you’ll love.) Together our team of musician-analysts has been listening to music, one song at a time, studying and collecting literally hundreds of musical details on every track – melody, harmony, instrumentation, rhythm, vocals, lyrics … and more! We continue this work every day to keep up with the incredible flow of great new music coming from studios, stadiums and garages around the country. Mobvista is a leading mobile ad platform that helps to monetize your traffic inventory and distribute your mobile applications. For publishers, we specialize in providing various smart ad formats to maximize revenue and enhance user experience with our easy-to-integrate SDK. For advertisers, we provide professional apps and brands distributing portfolios for our clients. It’s the cutting-edge algorithms that helps our clients make informed promotional decisions. Chartboost is the largest revenue platform for mobile games. Chartboost empowers developers to find new players and monetize their games, by providing them with the tools and analytics to make smarter decisions. The company reinvented distribution through development of the first 100% transparent ad network, and industry’s only Direct Deals Marketplace encouraging developers to work directly with one another. Chartboost powers over 60,000 games from companies such as Machine Zone, Supercell, Wooga, NimbleBit, ZeptoLab, Pocket Gems, PikPok, Animoca, Tap4Fun and Chukong, and drives over twelve billion game sessions per month. Seventynine is a business unit of Networkplay Media Private Limited (wholly owned by Gruner & Jahr/Bertelsmann Group) in mobile space and comprises of four primary business pillars: distribution platform, analytics and metrics, rich media and video, m-establishment (studio). The business is championed by media planners, industry specialists, data gurus & product whizzes that exude proficiency in analytics, media optimization & inventory buying experience across the digital space coupled with substantial experience in large-scaled product development & services management. AdColony is a mobile video advertising company whose proprietary Instant-Play™ technology serves razor sharp, full-screen video ads instantly in HD across its extensive network of iOS and Android apps, eliminating the biggest pain points in mobile video advertising: long load times and grainy, choppy video. As a leading mobile video advertising and monetization platform, AdColony works with both Fortune 500 brands and the world’s top grossing publishers. The company’s reach, targeting and optimization tools and services provide advertisers with a superior way to engage mobile audiences at scale. AdColony’s app developer tools and services provide publishing partners with ways to maximize monetization while gaining insight needed to continuously optimize content and advertising offerings. Vungle is the way developers put video ads in apps. Vungle’s breakthrough video ad-serving technology and user-first approach has led to its track record of success and made it necessary infrastructure for applications. Vungle was founded in 2012 and has offices in San Francisco, London, Berlin, and Beijing. As the mobile industry’s leading app-tech company, Tapjoy’s mission is to maximize value for app developers through ad-based monetization and industry leading analytic solutions. Tapjoy drives revenue for mobile app developers through rewarded advertising and uses data from their apps to serve the right engagement to the right user at the right moment. Tapjoy’s global reach is currently more than 450MM monthly active users. Tapjoy is backed by top-tier investors, including J.P. Morgan Asset Management, Rho Ventures, North Bridge Venture Partners, InterWest Partners and D.E. Shaw Ventures. Taptica is a leading mobile user acquisition platform for brands and app developers to engage valuable mobile users. Our proprietary technology is based on artificial intelligence and machine learning at big data scale which enables data driven mobile targeting and user acquisition, resulting in maximum ROI. We work with 150 advertisers and over 1000 supply and publishing partners. Led by a team of professionals highly experienced in both online and mobile marketing, we identify the best opportunities for advertisers and publishers, allowing app developers to get on with the job they love – creating fantastic mobile apps and services! Vserv is a leading mobile marketing platform that delivers smart data led results to marketers, app developers, telcos and data partners. Powered by its award winning market first technologies, the company drives engaging mobile experiences for the emerging billion mobile internet users. Founded in 2010; Vserv has 500 million+ unique user profiles and a global footprint with offices across USA, UK, South Africa, India, Dubai, Singapore, Thailand, Indonesia, Malaysia, Philippines & Vietnam. MdotM is a premier mobile ad network comprising of iPhone and Android apps. MdotM helps advertisers reach users on their mobile devices and enables developers to monetize their iPhone and Android apps. MdotM runs campaigns on a CPC, CPM or cost-per-download basis. Developers yield the most competitive CPMs through the MdotM network. Tyroo, APAC’s Largest Multi-Screen Performance Network, reaches 90 million unique visitors in APAC every month. Tyroo is present in India, Singapore, Malaysia, Hong Kong, Philippines, Thailand and Indonesia. It is India’s first mobile performance network driving app installs and demand generation across smartphones and tablet users. Tyroo is amongst the top 3 customer acquisition channels for e-commerce, travel, BFSI and online businesses. Tyroo offers solutions such as Cost Per Lead, Cost Per Acquisition, Cost Per Download, Retargeting, Pay Per Call and Mobile Performance Marketing. Flurry AppCircle empowers companies to efficiently build high-quality audiences for their apps. Powered by consumer insight that Flurry Analytics gathers from 1 billion mobile users per month – creating the world’s largest app audience data-set – Flurry AppCircle uses advanced targeting to find the right users for your app and keep them coming back. Whether your goal is to launch an app with maximum velocity, grow the user base of an existing title or increase engagement among existing users, AppCircle can help. Opera Mediaworks is the first mobile ad platform for brands, delivering surprise and delight at scale. Our technology powers the biggest publishers in the world and enables marketers to provide the highest quality experiences to more people in more places when it matters most. Our exclusive Instant-PlayTM HD video technology and award- winning rich media touches, engages and creates deep interaction with consumers in the most popular mobile apps and sites around the globe. We work with over 90% of the AdAge Top 100 advertisers and 18 of the top 25 global publishers. A fully-owned subsidiary of Opera Software, Opera Mediaworks is headquartered in San Mateo, California, with offices worldwide. Unity’s premier mobile game ad network, Unity Ads is trusted by top brands like Sega, Supercell, and King – both for monetizing their user base and acquiring highly-valued users. Users opt-in to watch video ads and earn virtual item rewards. AdAction Interactive partners with leading advertisers and quality publishers in creating “best in class” performance marketing campaigns with proven and measurable results. Offering a full menu of services with a la carte pricing, AdAction facilitates and accelerates your team’s efforts to increase sales, drive further downloads to your application, and engage consumers. Each client’s service plan is unique and tailored to that client’s specific needs. Best of all, whether you are interested in grabbing a burger or a fine dining experience, you pay only for results. Advertising, brand safety, and programmatic: Do you know where your ads live? 2018 App Install Trends: Are You Recouping Your CPI? Partner Marketing 101: What Is Affiliate Marketing?